Windmills fascinate me! I love old windmills. There aren’t too many any more. 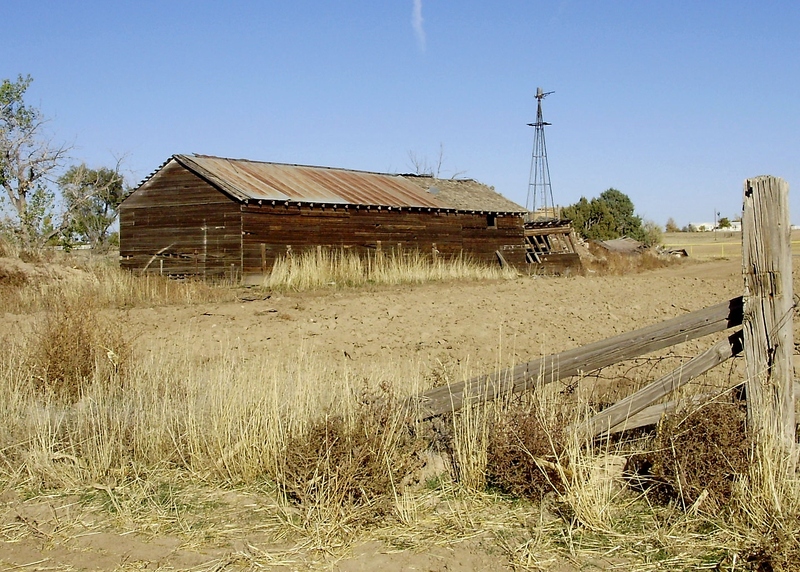 I have many, many pictures of old barns but very few of them have the old windmill still in the barn yard. 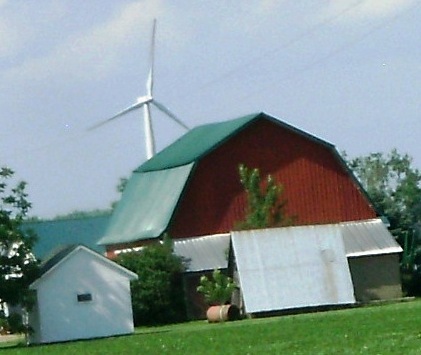 Most of the pictures I have of old barns have the tower still up but the blades of the windmill are gone. It makes me feel sad. 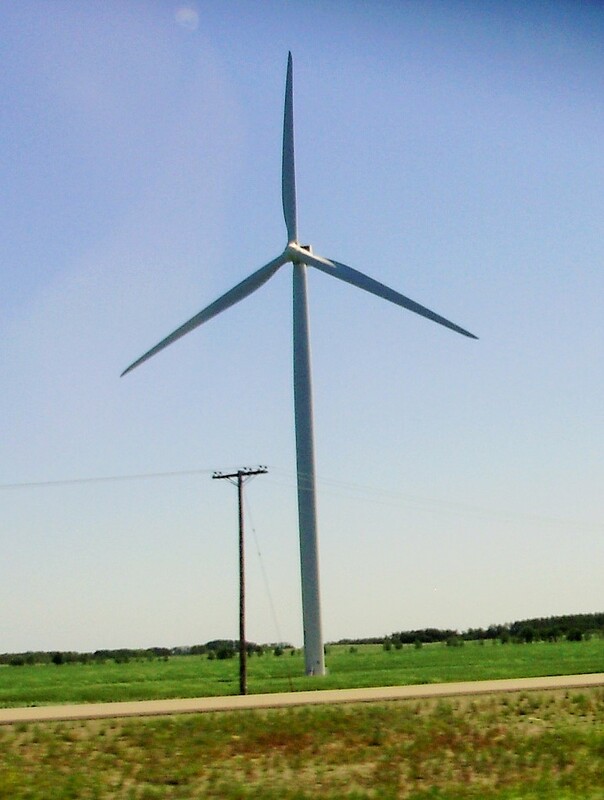 There are thousands of these new wind mills. Not far from where we live there are hundreds of them in rows! I took this next picture from an airplane! There were so many windmills and this was a whole new view of them for me…from the air! I thought this was an interesting view. What a contrast! An old barn with a new windmill very close! I guess this is progress. But I still like the old. 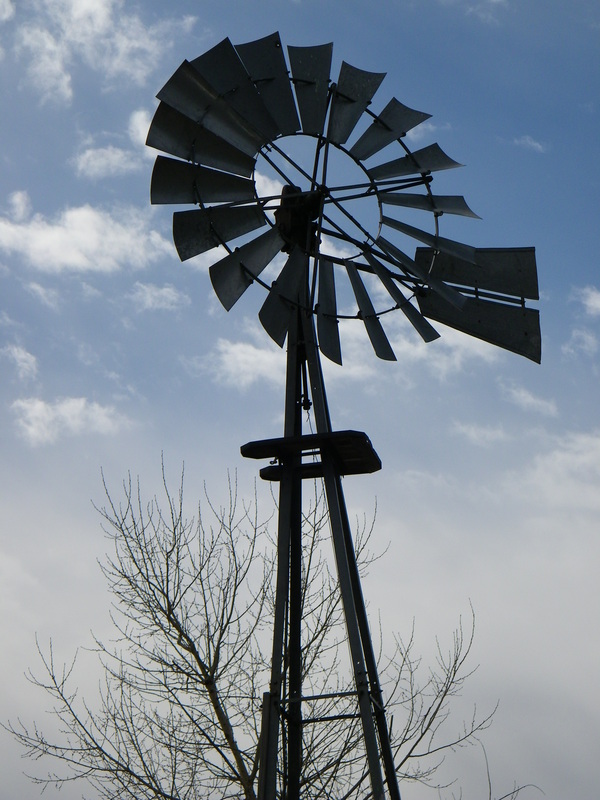 This entry was posted in Me, Memories, Travel, Windmills and tagged Me, Memories, Travel, Windmills. Bookmark the permalink. I like the progression you show and the contrast at the end. Years from now even the new will look old – ha! Hi! Thanks for your comment! You’re right about the new looking old in years to come. I can’t even imagine what’s ahead for the youth of today!